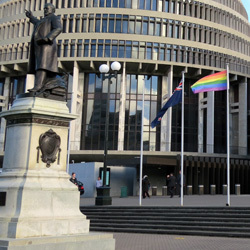 Audio from the IDAHOBIT event held at Parliament. The panel presentation marked the International Day Against Homophobia, Transphobia, Biphobia and Intersexphobia. A special thank you to the Rainbow NZ Parliamentary Network and the community participants for allowing us to record and share this event.